Background: Spray painting poses health hazards that affect the respiratory system. 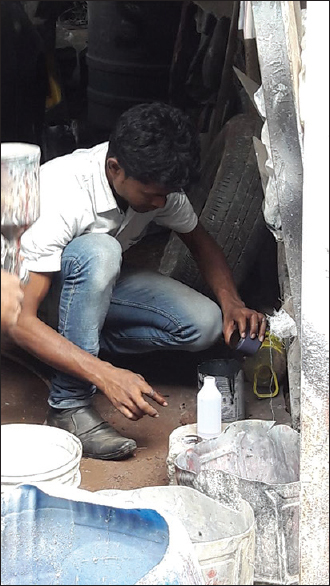 During spray painting, workers are exposed to different paint components. Toluene diisocyanates, methylene diisocyanates, and hexamethylene diisocyanates are commonly used isocyanates in the spray painting. The major route of occupational exposure to isocyanates is the inhalation of the vapor or aerosol that can sensitize workers. The short- and long-term consequences of the respiratory system can be raised from these occupations. 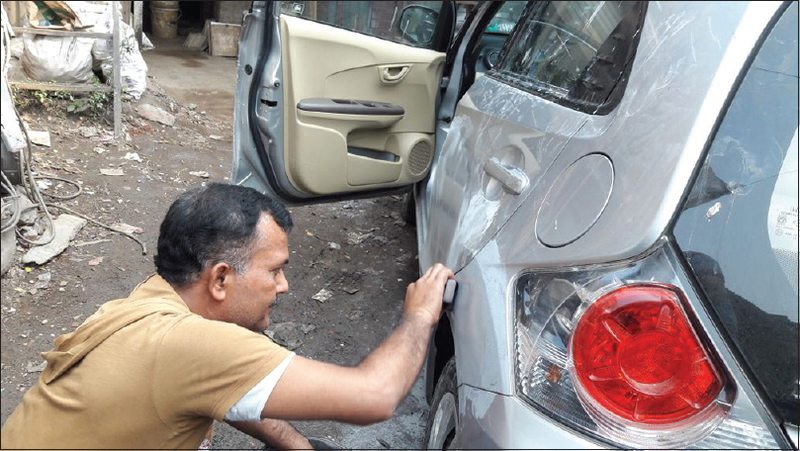 Hence, the aim and objective of this study were to find the prevalence of respiratory symptoms in automobile spray painters of Mumbai and to study the use of safety measures in automobile spray painters. Materials and Methods: The study was a cross-sectional study. 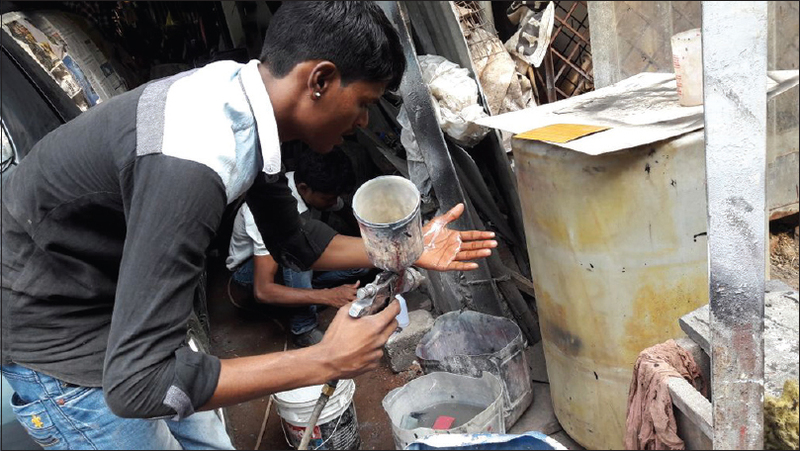 A total of 50 automobile spray painters were selected based on inclusion criteria. The self-made validated questionnaire was used as an outcome measure. Results: About 90% of the automobile spray painters have reported respiratory symptoms in their occupation among which 88% had the most prevalent symptom of breathlessness followed by 84% workers had the symptom of coughing. 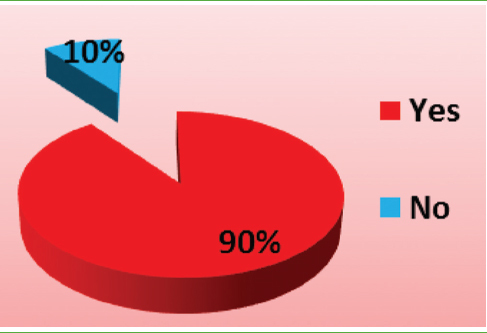 Nearly 60% of workers were aware about the safety measures, but only 33% were using the safety measures during work. Conclusion: The study showed a high prevalence of respiratory symptoms. The lack of awareness and the use of safety measures had increased the severity of the symptoms. 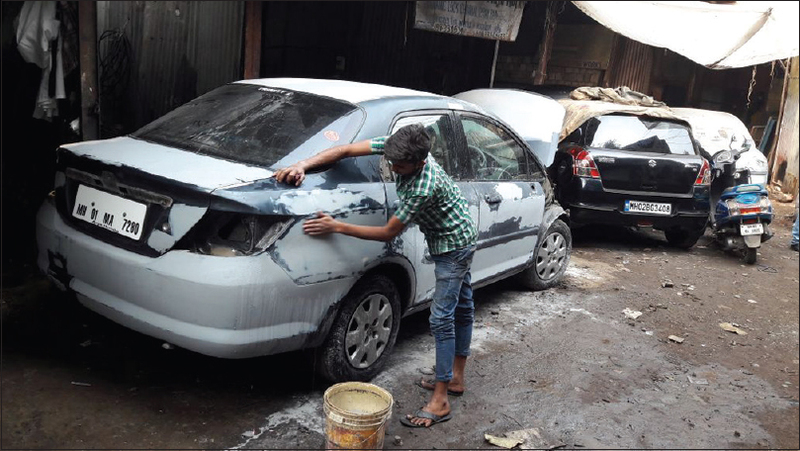 Automobile spray painting industry, in Mumbai, is a small-scale family acquired the business. The workplaces are usually situated in the slums of Mumbai city. Spray painting is a painting technique where a device sprays a coating through the air onto a surface [Figure 1], [Figure 2], [Figure 3]. The coating material usually consists of paints, inks, and varnishes [Figure 4]. The most common types employ compressed gas, usually air to atomize and direct the paint particles. The mean occupation status of 50 automobile painters is described in [Table 1]. [Table 2] represents the presence of respiratory symptoms among automobile spray painters. About 90% (45/50) of the automobile spray painters have reported respiratory symptoms in their occupation. [Table 3] represents the prevalence of respiratory symptoms. 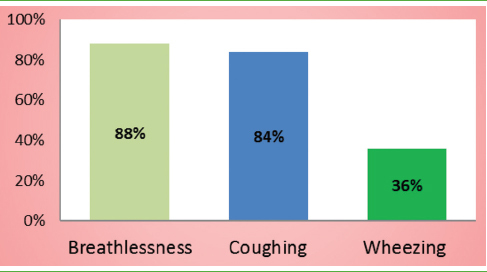 Nearly 88% (40/45) had reported breathlessness as the most prevalent respiratory symptom followed by 84% (38/45) had reported coughing. Only 36% (16/45) of the workers had reported symptoms of wheezing. According to the American Thoracic Society's Grades of breathlessness, 60% (24/40) of automobile spray painters have shown Grade I dyspnea [Table 4]. [Table 5] represents the awareness about safety measures in automobile spray painting occupation. Nearly 60% (30/50) spray painters were aware of safety measures and among them, only 33% (10/30) were using the safety equipment during the work [Table 6]. Ford ES, Croft JB, Mannino DM, Wheaton AG, Zhang X, Giles WH, et al. COPD surveillance – United States, 1999-2011. Chest 2013;144:284-305. Moore M, Little P, Rumsby K, Kelly J, Watson L, Warner G, et al. Predicting the duration of symptoms in lower respiratory tract infection. Br J Gen Pract 2008;58:88-92. Woodhead M, Blasi F, Ewig S, Garau J, Huchon G, Ieven M, et al. Guidelines for the management of adult lower respiratory tract infections – Summary. Clin Microbiol Infect 2011;17 Suppl 6:1-24. Gardiner H. Delhi Wakes Up to an Air Pollution Problems it Cannot Ignore. New York Times; 2015. Available from: www.nytimes.com/2015/02/15/world/asia/delhi-wakes-up-to-an-air-pollution-problem-it-cannot-ignore.html. [Last retrieved on 2015 May 30]. Ambient (Outdoor) Air Pollution in Cities Database 2014. World Health Organization; 2014. Available from: www.who.int/phe/health_topics/outdoorair/databases/cities-2014/en/. [Last retrieved on 2015 May 31]. Basu M. 89.6% of Deaths in Slums Due to Respiratory Diseases, Reveals IIPS Survey. Mumbai: The Indian Express; 2015. Tornling G, Alexandersson R, Hedenstierna G, Plato N. Decreased lung function and exposure to diisocyanates (HDI and HDI-BT) in car repair painters: Observations on re-examination 6 years after initial study. Am J Ind Med 1990;17:299-310. Janko M, McCarthy K, Fajer M, van Raalte J. Occupational exposure to 1,6-hexamethylene diisocyanate-based polyisocyanates in the state of oregon, 1980-1990. Am Ind Hyg Assoc J 1992;53:331-8. Occupational Lung Diseases. Johns Hopkins Medicine Health Library. Baltimore, USA: The John Hopkins University; 2012. Available from: www.hopkinsmedicine.org/healthlibrary/conditions/adult/respiratory_disorders/occupational_lung_diseases_85, P01318. [Last retrieved on 2016 Jun 20]. Fabbri LM, Caramori G, Beghé B, Papi A, Ciaccia A. Physiologic consequences of long-term inflammation. Am J Respir Crit Care Med 1998;157:S195-8. Hon Julia Gillard MP, Minister for Employment and Workplace Relations. Code of Practice under Subsection 70(1) of the Occupational Health and Safety Act 1991. Canberra, Australia: Minister for Employment and Workplace Relations; 1991. Available from: http://www.legislation.gov.au/Details/F2008L02054. [Last retrieved on 2016 Aug 17]. Abuelfadl A, El-Ebiary A, El-Maddah E, Ibrahim I, El-Shourbagy S. Pulmonary toxicity among car spray painters. Mansoura J Forensic Med Clin Toxicol 2010;18:51-64. Ribeiro LI, Ind PW. Effect of cannabis smoking on lung function and respiratory symptoms: A structured literature review. NPJ Prim Care Respir Med 2016;26:16071. Numan A. Effect of car painting vapours on pulmonary and liver function of automobile painting worker within Baghdad governorate area. Al-Kindy Coll Med J 2012;8:58-64.